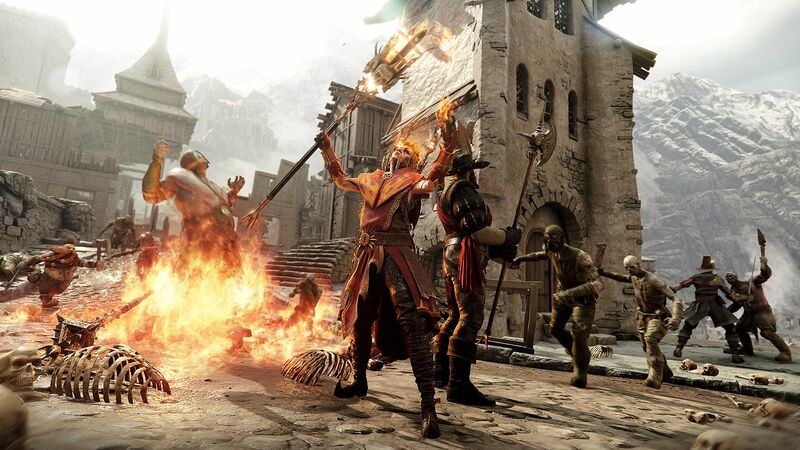 Warhammer: Vermintide 2 has arrived on Xbox One, both as a standalone purchase and via the Xbox Game Pass. With huge anticipation behind it, and fans of the Warhammer universe looking for something else to get their teeth into, we were given the chance to have a chat with Fatshark producer, Robert Bäckström. He had some very interesting things to say! Hi. Please introduce yourself – what has been your role on Warhammer: Vermintide 2 and at Fatshark? My name is Robert Bäckström, Fatshark oldtimer and Producer. So, sell it to us… why should gamers buy Warhammer: Vermintide 2? It is a game that is easy to pick up and quickly fall in love with. It looks great and the melee combat is rewarding. A few hours in you will notice how intriguing the characters relationship are, how deep the meta can become and what it means to conquer challenges as a team. 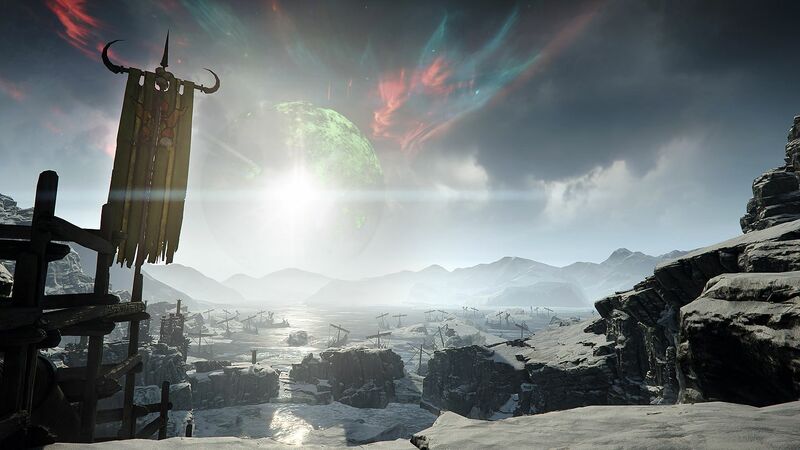 Vermintide 2 has been with PC players now since March, and from what we’ve seen it certainly looks impressive. Are there any differences to note between the PC version and that releasing on console? The Xbox One version has two additional game modes, Offline and MixPlay, a revamped UI and rebalanced minute to minute gameplay. How are you thinking the arrival of the game in Xbox Game Pass will affect things? Is the huge player base which that brings the main reason for debuting Verminitide 2 in there? Yes. We are a small studio with a limited marketing budget. A solid player base and awareness about the title through word of mouth is our best tools at hand to successfully launch a multiplayer game. With Warhammer holding such a huge fanbase, how much did fan requests get factored into development and what has been added due to feedback from players? Our development processes are constantly adapting to be in line with our players. That being said – we have likely the biggest Warhammer fans in the studio and there no lack of ideas and request boiling at any moment in our development. 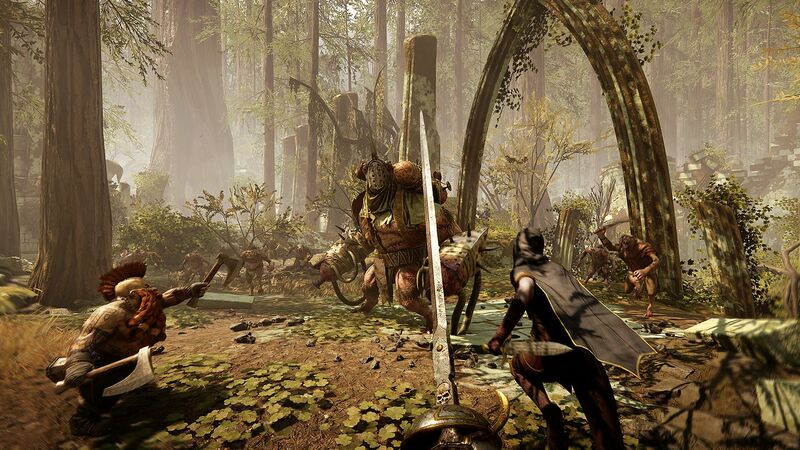 Xbox One X enhancements are a big thing in this world of ours, what enhancements have you been able to achieve for Vermintide 2 on Xbox One X? The biggest improvement would be native 4K texture resolution. But the render pipe is improved in several ways, through shadow improvements amongst others. One thing that some found confusing about the original was the need for at least a minimal understanding of the Warhammer universe to ensure they understood properly what was going on. Is there anything in place within the sequel to ease new players into the experience, or is this an immediate continuation from the original? The tutorial is perhaps designed with more afterthought in the sequel which will help. We have also lowered the entry difficulty level to help new players. As far as gameplay is concerned, Vermintide 2 sees the arrival of the Chaos race into the Vermintide experience. What impact will they have on the story and how do they differ from the other factions we’ve already seen? While Skaven are a cunning and very strong faction to be seriously respectful of, Chaos is the essence of evil in the Warhammer world. Their mutated monsters are stronger, their sorcerers more sinister and their warriors more brutal. With the same five original characters coming back in Vermintide 2, I think it’s fair to say there’s plenty more to learn about our protagonists. Are there any plans to bring any new characters into the fray in the future (by way of DLC perhaps), or is the plan to just stick with those included for now? The five main protagonists are the backbone of the story we create. But in the same time, the End times is a very exciting time where unknown threats and unexpected alliances can appear around every corner. So possibilities are endless if we want to expand the game in that direction. But we design our games post release support very organically where the current game and how players play it decides what we will focus on tomorrow more than a grand scheme formed in the early stages of the game. Career paths are one of the new features introduced to the game this time around, how exactly does that work and how will it affect the ongoing story with our characters and the way we play? Careers was a way for us to keep the five characters and continue tell their unfinished story and in the same time add needed new ways to play the game. They offer – with their abilities and talent trees a more defined approach to the role a player can take. One thing many found issue with in the original was the loot system, and how players could sometimes find disappointing loot given. It’s our understanding that the dice game has been replaced in Vermintide 2 however, so how does loot distribution now work? When evaluating V1 loot system we found things we wanted to address in a sequel. The random generated factor that might end up leaving a player feeling unsatisfied was one. Another was the fact that players tended to have a main character at a time rather than switching between them freely and at all times and therefore they wanted ways to choose for which character they gained loot for. By offering more loot per level completion (three chests instead of one) and letting the character who open the chest be the beneficiary of it we mitigated both issues. 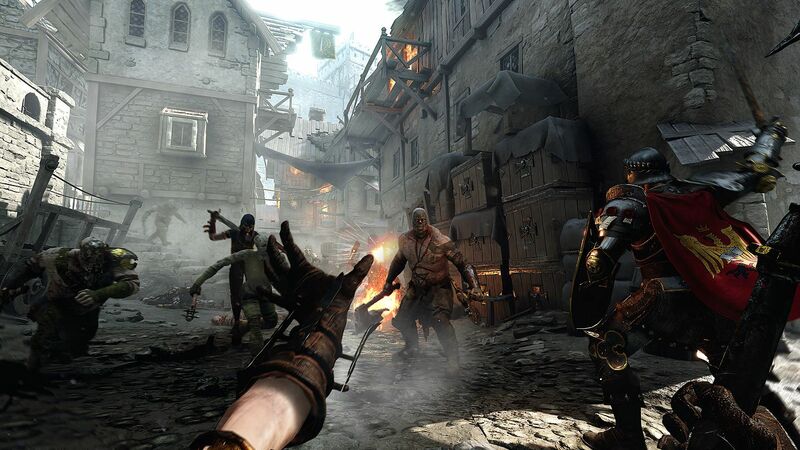 We particularly enjoyed being swarmed by hordes of enemies as I progressed throughout each level in the first game, can we expect to see more of the same in Vermintide 2? Will enemy numbers increase? Or have you changed the way enemies attack completely? 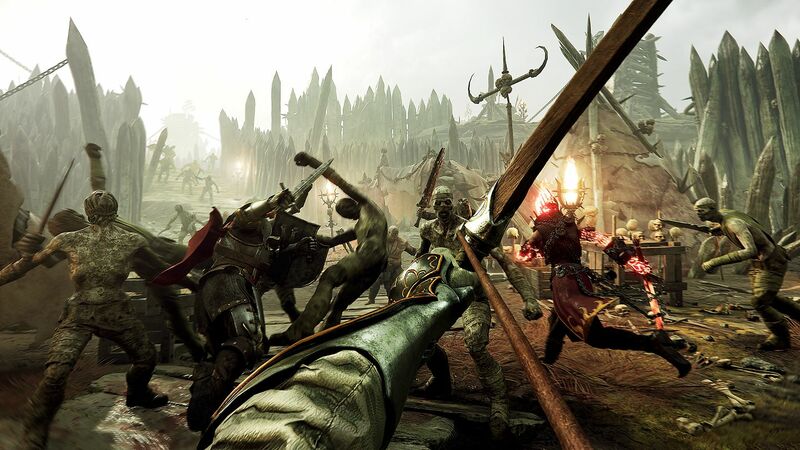 The onslaught of the horde and the challenge in handling a large number of weak enemies in conjunction with a few specialist at the same time is a key element of Vermintide and will stay. We even expanded on it in how the AI behaves to make the hordes even more of a challenge. With Vermintide 2 having already sold exceptionally well on PC and many highly anticipating the console release, are there any plans to continue with the series in the future? The Warhammer universe is a great source of inspiration and we so far only tapped a few bits and pieces of it. As long as there are players out there who want to fight together against the hordes of evil we will continue making Vermintide games. We must thank Robert massively for agreeing to spend a little of his time answering our questions. Warhammer: Verminitide 2 is available right now on Xbox One, debuting in Xbox Game Pass, whilst an Deluxe Edition can also be purchased. If you like the Warhammer universe then it is all a bit of a no-brainer but should you be sitting on the fence, considering a purchase, keep an eye out for our full review.